Bermuda does have some lovely scenery – amazing beaches, pastel painted houses and great golf courses. But that is not why businesses have been coming here for over half a century and why this year capital markets have once again turned their head towards this Atlantic island. In a global economy recovering from the impact of the international credit crunch, investors and companies have been turning to solid, stable, ‘tried and tested’ jurisdictions for their investment and capital-raising needs. Bermuda has been an obvious choice. Bermuda, which is of one of the most dynamic, stable and well-respected economies in the world, is also home to the Bermuda Stock Exchange (BSX), which has nearly 800 listed securities and has a combined market capitalisation of over $225bn. And in November, Fitch Ratings affirmed Bermuda’s AA+ credit rating pointing to the fact that its sovereign ratings were supported by its strong institutions, an extremely high per capita income, sustained sizeable current account surpluses and a low public debt burden compared with peers. This year the exchange has added a feather to its cap by surpassing the $1bn mark in listed insurance linked securities (ILS), or catastrophe bonds, after benefitting from the global upsurge in interest in the creation and listing of ILS. Throughout 2010, investors demonstrated sustained interest in cat bonds, which enable insurance companies to raise capital through the transfer of insurable risk for events such as hurricane or earthquake damage to financial market investors, while their prices have also remained attractive for sponsors of the bonds. At the end of 2009, the Bermuda Monetary Authority introduced legislation that made it easier to form and list insurance linked securities on the British Dependent Territory and since then Bermuda has been positioning itself to attract and list ILS such as catastrophe bonds. The goal is to ensure that Bermuda is the first choice jurisdiction for the creation, listing and potentially secondary market trading of insurance linked security structures. Bermuda could be seen as a natural choice as it is the world’s third largest reinsurance market and is already home to 1,400 insurance companies with total assets of $442bn. Many of its reinsurance companies have issued cat bonds or set up special purpose vehicles such as side cars. The BSX has listed 10 cat bonds with a combined value of $1.174bn. Three of these have been listed since the end of 2009 – State Farm’s Merna Re II ($350m), Flagstone Reinsurance Holdings SA’s Montana Re transaction ($175m) and an issuance from Chartis, Lodestone Re, worth $425m. At the BSX we believe there is a role for stock exchanges to play in improving transparency and encourage an efficient, liquid market in ILS. Investors, during this period of recovery, have been looking for open and transparent structures. The move to have more ILS being listed on exchanges could generate more interest in and increase investor demand as information is more readily on the ILS structures and their pricing. Many professional investors have restrictions on investment in non-listed securities and the exchange-listing of catastrophe bonds could be the trigger that attracts more pension and other institutional investors into the sector. Bermuda could become a one-stop shop for ILS – the sponsors are here, the special purpose insurers (SPI) are set up here, and the exchange is here. 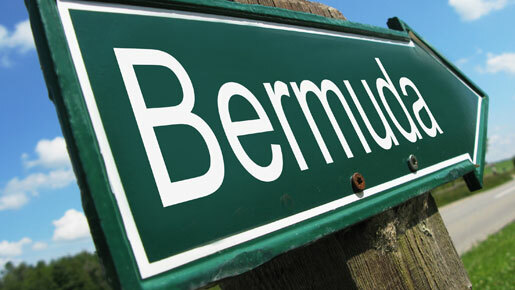 As a thriving international financial services sector and close proximity to the North American and European markets Bermuda is really becoming a centre of convergence – where the reinsurance and capital markets meet in Bermuda and are supported by auxiliary services that have developed as these markets have matured.